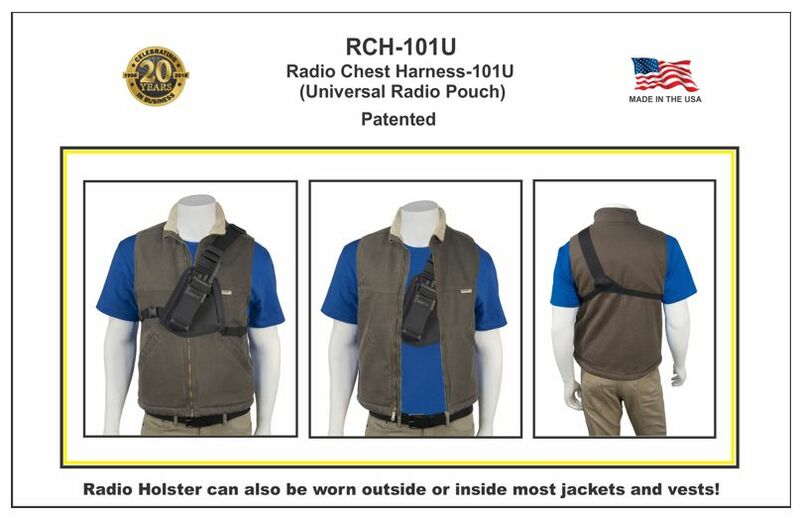 The RCH-101U (Universal) Radio Chest Harness is a low profile two way radio carrying solution. The height adjustment radio pouch will allow your medium to large two way radio to fit perfectly in this radio holster. Creates a "Hands free" working environment, holds your radio safe and secure on the upper left side of your chest.